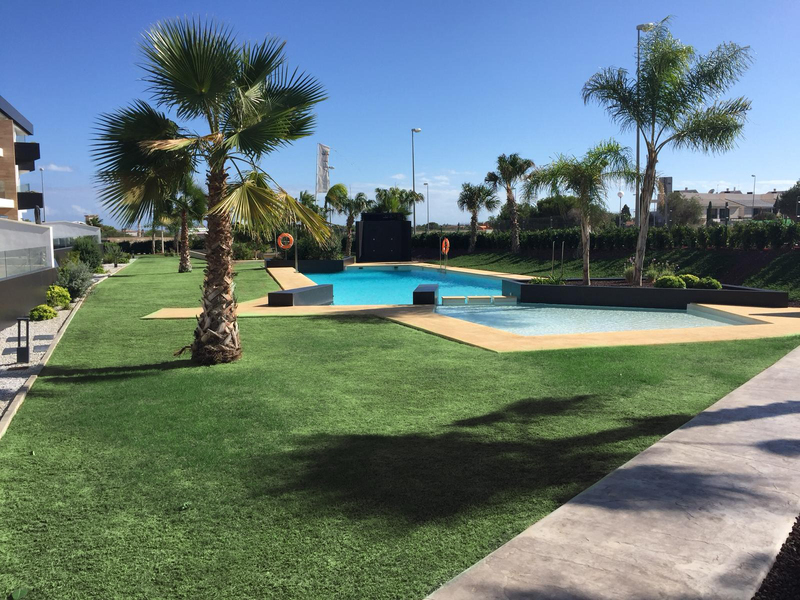 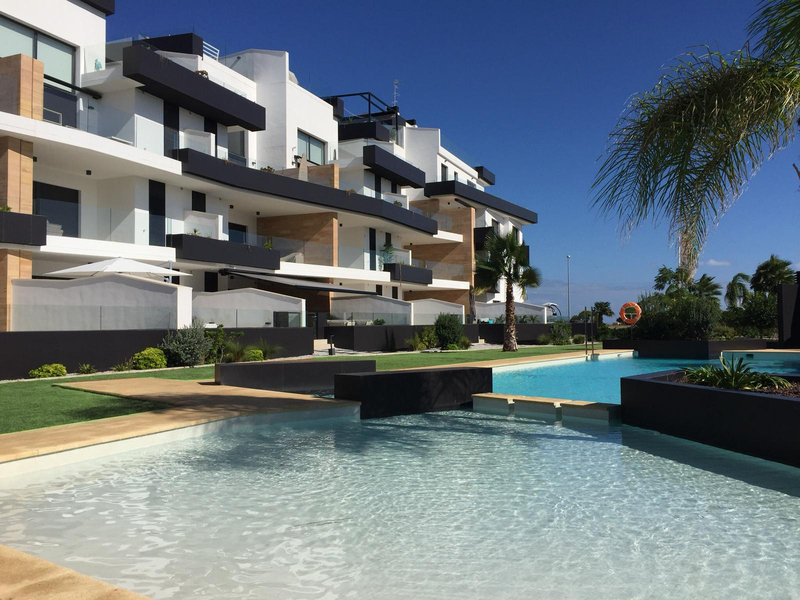 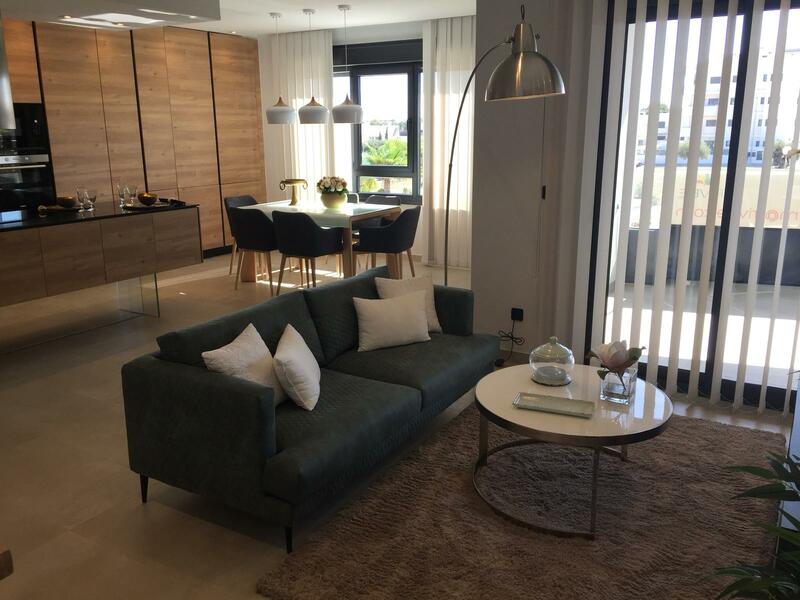 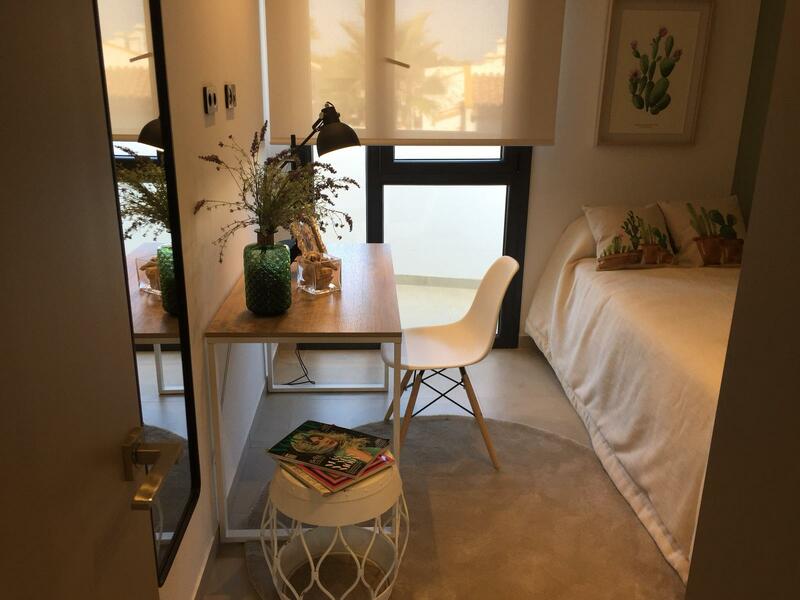 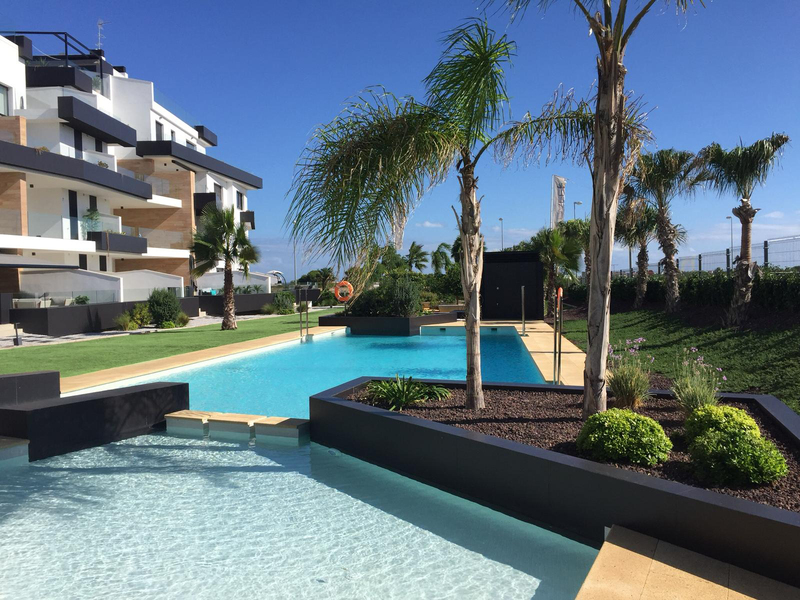 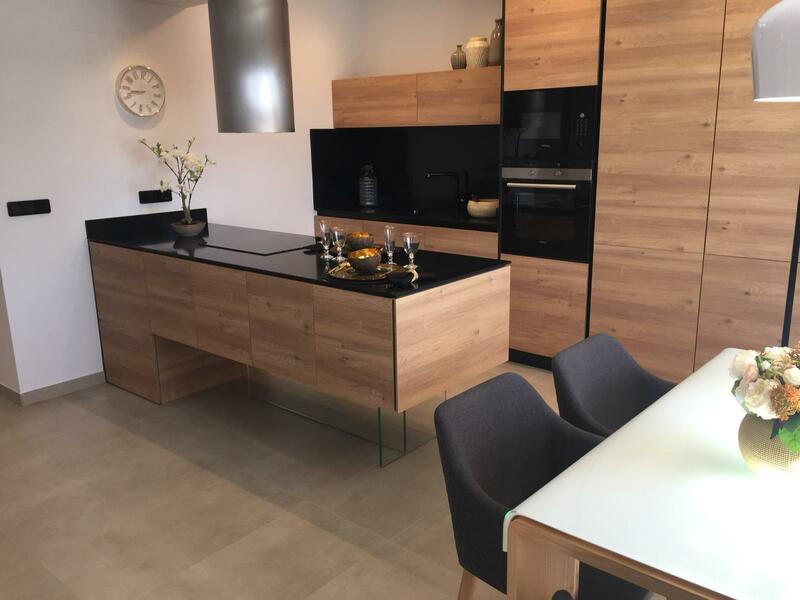 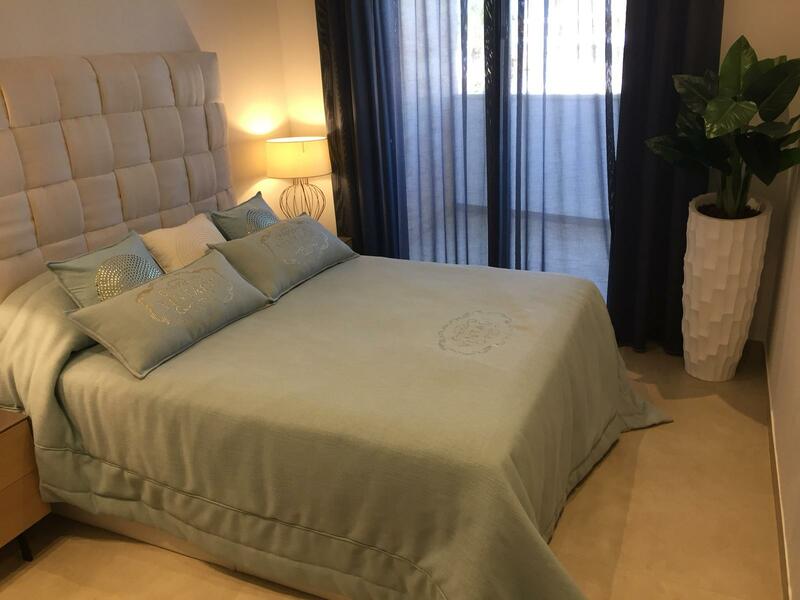 These brand new modern apartments in Los Dolses, Costa Blanca South are within walking distance to all amenities and the Shopping Centre La Zenia Boulevard, also they have been built to the highest quality with modern finishes! 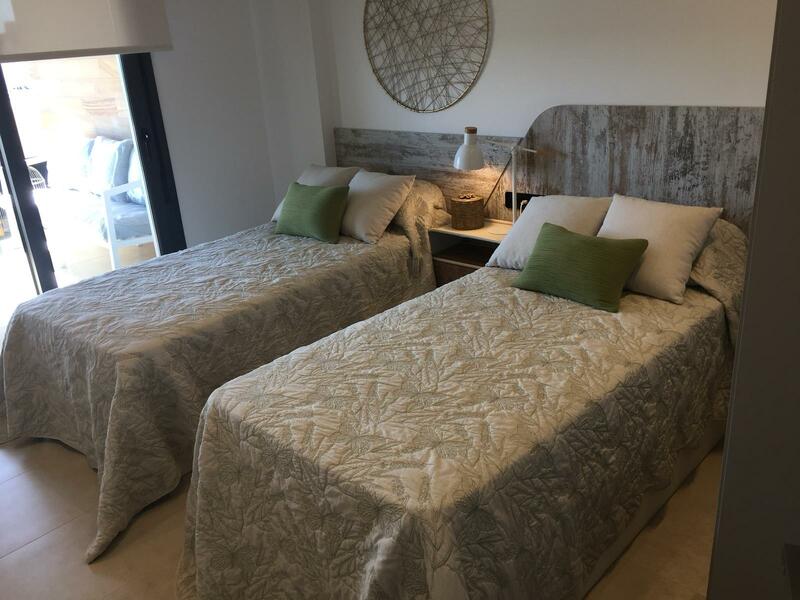 The property boasts two (or three) bedrooms with fitted wardrobes, two bathrooms with under floor heating, living/dining room, open plan kitchen. 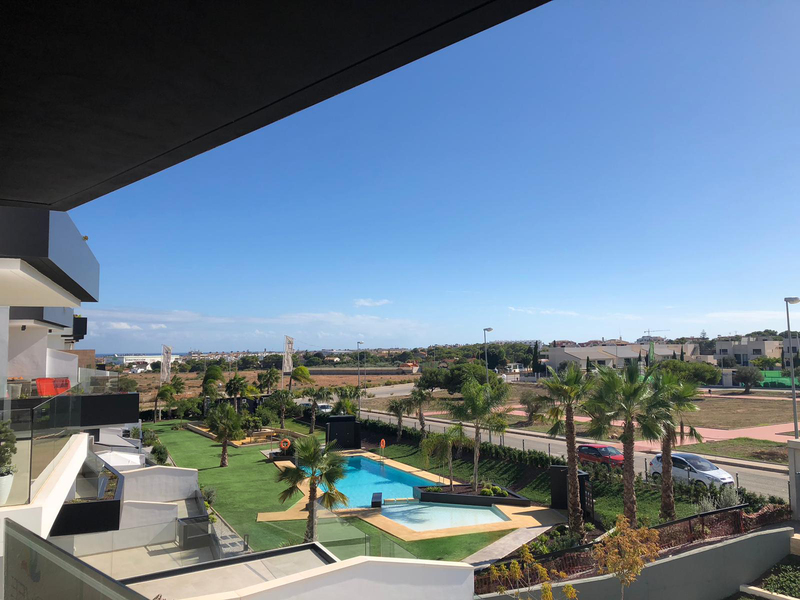 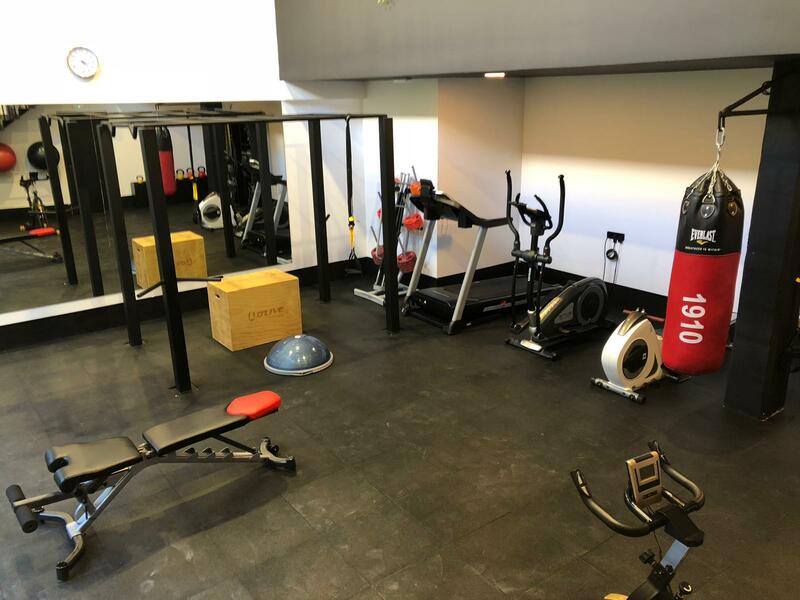 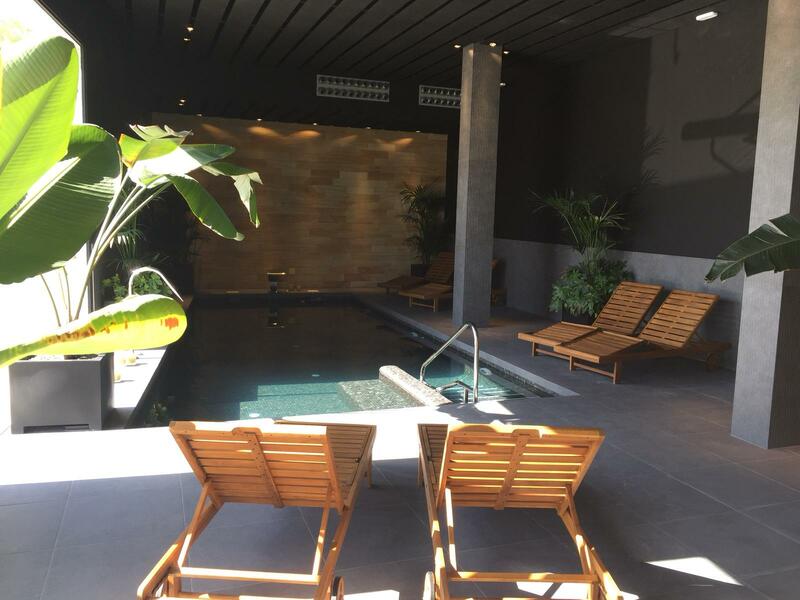 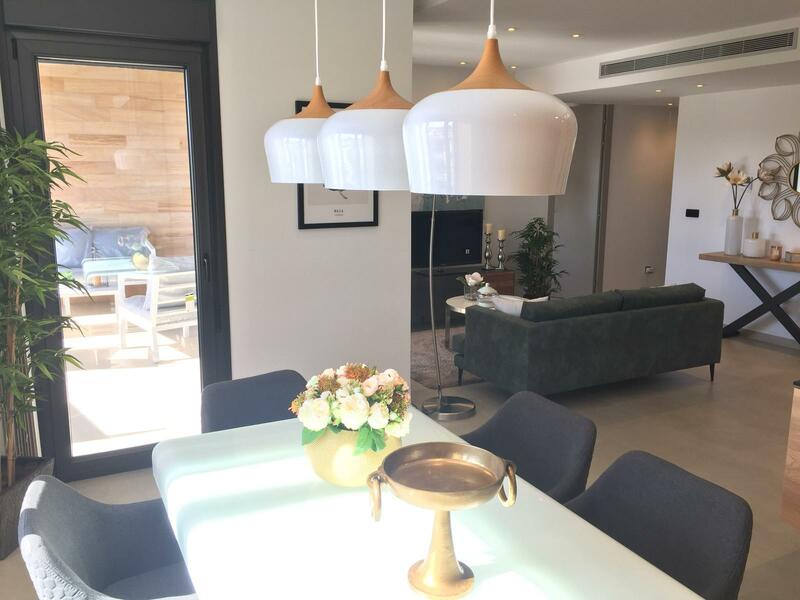 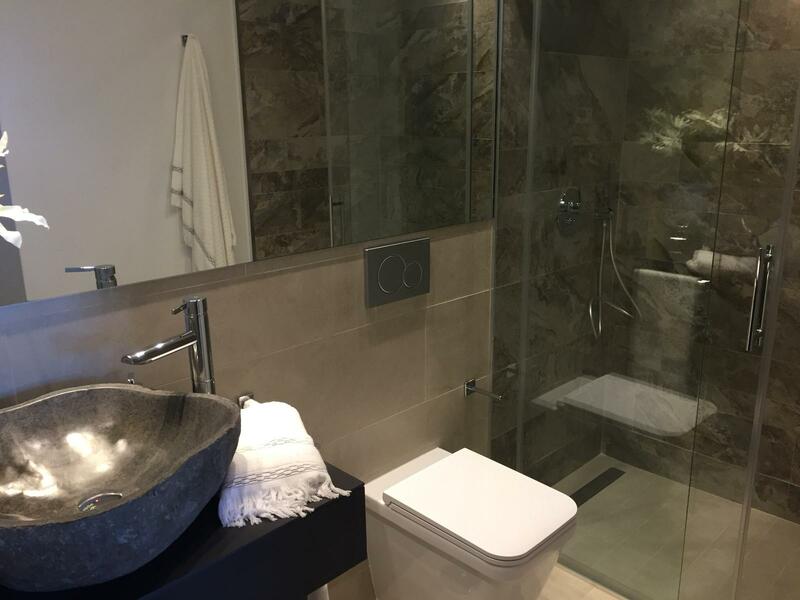 All properties will have magnificent sea views and benefit from the use of landscaped communal areas, several communal swimming pools, and heated indoor swimming pool, sauna & gym. 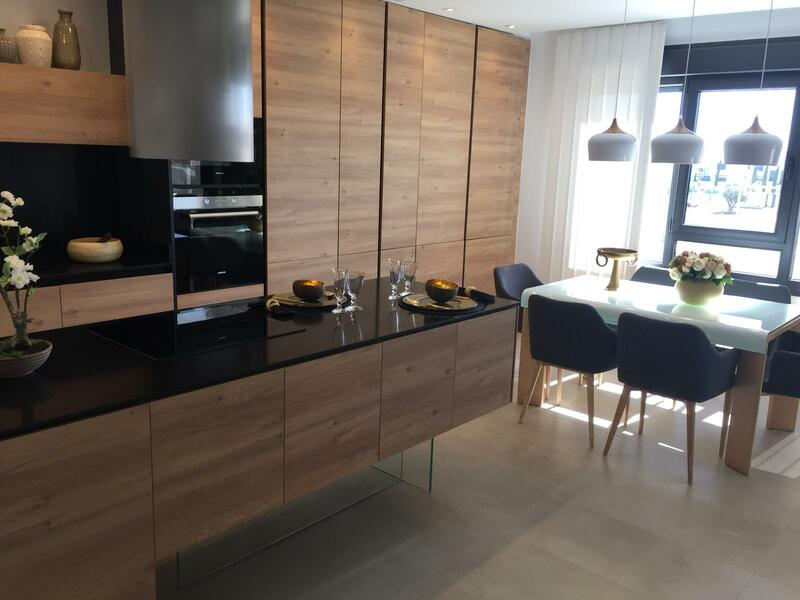 Under ground parking space and storage room for an additional 4.000€!